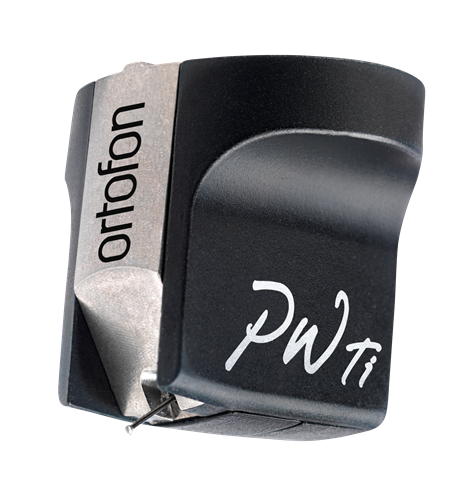 Ortofon is a Danish company celebrating 100 years of commitment to excellence in the manufacture of audio related products, best known for its Analog Cartridges. Included in the extensive cartridge line up are tone arms, step up transformers, DJ related gear, and a host of micro manufacturing capabilities spanning many different industries. “….On the 9th of October 1918, the two Danish engineers, Axel Petersen (1887-1971) and Arnold Poulsen (1889-1952) founded the Electrical Phono Film Company with a few capable and foresighted businessmen who would support the organization financially. This was the beginning of what would be a century long force in audio engineering. If your vision of a cartridge manufacturer is a lone person with a smoldering cigarette in mouth, and smoldering soldering iron to match, hunched over a spot lit workbench with a jewelers lens clinched in one eye and a smattering of materials, measuring devices cluttering the table top, Ortofon does not fit that bill. A quick viewing of a video of the manufacturing process on the website would more resemble a high tech micro chip production facility with incredibly precise robotics, and all sorts of automation at work ensuring the most consistent and precise results. This is no indictment of the totally hand made bespoke approach, I’m all for it. It simply demonstrates how far Ortofon has evolved, and to the degree it has embraced modern manufacturing techniques. Per Windfeld, the engineer in charge of cartridge development for 30 years (1976-2006), the MC (moving coil) Windfeld Ti (Titanium) is the follow-up to current chief designers Leif Johansen’s steel and special alloy bodied original MC Windfeld. The titanium and steel bodied Ti resembles the Cadenza series, which is the descendant of the MC Jubilee, in shape only. The Selective laser melting technology developed in the production of the all titanium AC-90 is utilized here along with the use of titanium and steel as the material for the headshell and the motor encasing. SLS Titanium is incredibly stiff and lightweight, with phenomenal vibration nullifying capabilities. I became aware of the vibration taming traits of titanium pursuing another passion, road cycling. Testing out a $10K Moots Vamoots titanium framed bicycle, the frame’s ability to soak up road surface induced vibration surpassed even my Italian carbon fibre framed Colnago, providing the smoothest most comfortable ride I’d ever experienced. And if there is one thing we all can agree on, unwanted vibrations affect analog playback to a greater degree, by a factor of 10 compared to any other part of the audio chain. I was fortunate to have fellow reviewer Richard Mak, the creator of AnalogMajik, set up software and disc optimize the installation of the MC Windfeld Ti, coupling it to the stunning VPI Avenger Reference and its 3-D printed tone arm. This is the most sophisticated set up tool available, capable of nearly an infinite degrees of fine tuning. Richard has gone were no one has gone before in exploring all aspects of the perfect alignment of an analog cartridge, taking the endeavor to its very limits. The Windfeld’s output is 2Mv. Its Boron Cantilever is tipped with the finest diamond in the world as the stylus. The thin, light profile and large contact surface of which allows it to read a track a groove very accurately. We set the tracking at 2.5 grams. Internal impedance is 7 ohms, and load impedance is 10 ohms. I was able to run the Ortofon through the new Gryphon Audio Sonnet and the Boulder 508 phono stages. Stereo preamplifier is the D’Agostino Momentum. Amplifiers are the Pass Labs XA200.5 class A mono blocks and Gryphon’s new Antilleon EVO stereo amplifier, which served for a short stint. Speakers remain the Lansche 4.1, and all wire was top of the line MIT, featuring the Oracal MA-X phono cable. Power regeneration was delivered by the PS Audio P20 and P15. I had previously been using the Ortofon Cadenza Black, the top of the Cadenza line, and have been very impressed with its even-handed tonal balance, musicality, and dynamic capabilities. I know it isn’t perfect, but its strengths are so well integrated I just have never tired of it over the last three years. Not only is it capable, it is extremely rugged. I am dangerously clumsy, and simply could not decapitate the Cadenza. It’s also very well suited to electronic music, both Jazz and Rock, which makes up a good deal of my listening while not short-changing a well recorded vocal when called upon. As much as I have enjoyed the Cadenza Black, I can say unequivocally, the next step up in the Ortofon range, the MC Windfeld Ti, is in a different league. At $4390 it fairly represents the premium asking price, clearly above the $2795 Cadenza Black’s price. After a brief break in, ten or so full albums worth, (the initial sound is a bit restrained) the Ortofon’s medium compliance cantilever began to loosen up. The first thing that struck me about the MC Windfeld Ti was its totally disarming ease. The sound is liquid, open, and flowing with incredible seamlessness from the lowest octave to the highest treble. There is absolutely no grain or edge getting in the way of the organic textures of instruments. The sense that there is no mechanical induced noise getting in the way of the cartridge reading the groove and passing the minute signal down the line uncorrupted is uncanny. The MC Windfeld Ti has the great ability to simply lay out the entirety of the recording with no spotlighting or favor of the frequency range. Instruments are rendered in their totality. 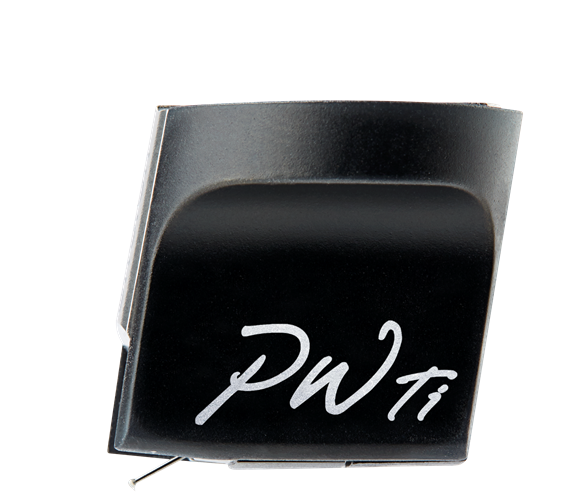 Some cartridges I’ve heard, even really expensive ones, highlight upper frequencies or the mid band leading to an “exciting” sound with bold forward, pronounced presence. Or, they may shelve the top end in favor of a broad, weighty foundation. I can imagine some may want a more detail forward transducer, something more vivid. That’s valid and there are plenty to choose from. But that is not what I’m as interested in as an overall priority. The Ortofon chooses to play it straight down the middle, allowing the recording to dictate what you will experience. Honesty? Neutrality? Either applies. Sound stages and images shift shape from recording to recording showing off the MC Windfeld Ti’s refusal to editorialize. Listening to one of French manufacturer’s Devialet’s limited vinyl run pressings of previously unreleased recordings of Sarah Vaughn (Bill Evans, Dizzy Gallespi, and Ella Fitzgerald are also available) a few things become clear. First, Devialet knows what they are doing when it comes to pressing vinyl. This may be the quietest, blackest sounding pressing I’ve ever heard. Sarah’s voice is grand, center stage, and clearly highlighted by the engineer. The surrounding band takes a back seat via both depth of stage and reduced dynamics. Despite these characteristics, the Ortofon makes the most of what’s cut into the grooves, and amply communicates the beautiful music. Sarah’s voice is stunning in its realism and humanity. Of all the great female jazz singers, she is my favorite. On a more aggressive note, Aerosmith’s masterpiece Toys in the Attic has a very closely miked, very direct sound. Imaging is bold and up front. I’ve heard this disc really skate the edge of aggression, yet the MC Windfeld Ti strips away all unwanted noise and distortion leaving nothing but the direct connection to the recording. Dynamics are a force. The Ti has an excellent propulsive quality, lively in both the macro and micro sense giving music a lithe, fleeting quality at times. From the bass which never even hinted at bloat or a spreading warmth into the mid bass, to an ever expressive midrange as displayed by the Sarah Vaughn vocals, the MC Windfeld Ti always sounded life like. If there is a character to it, it may be found to be a smidge laid back in the high frequencies, but that does nothing to dissuade me. Pink Floyd’s latest pressing of Pulse shows off the Windfelds Ti’s ability to capture the grand scale of a live Floyd concert capturing the volume of the event. The floating swirling synth are both liquid and huge in scope. Great stuff. Calling my wife and our, for lack of a better term, adopted 24 year old daughter into the room (my youngest son’s nanny who he has out grown, but our family has not! ), we put on a first pressing of Elton John’s Good Bye Yellow Brick Road, starting with “Funeral for a Friend,” and just sat back, turned up the volume, and marveled at the complexities and musicianship that adds up to such stunning music. By album side’s end, we were exhausted. Per Windfeld’s tenure was an incredible achievement, and a testament to his consistent striving to advance the state of the analog arts. The MC Winfield Ti is a fitting tribute to the man, the company, and all that Ortofon has worked towards over the last 100 years. Though it’s not the top cartridge of the Ortofon line up, it makes no apologies or excuses as far as delivering a stunningly neutral, clean, and liquid sound. For those who like a more forward presentation, I’d look elsewhere. But for an honest, perhaps relaxed, presentation that stays way out of its own way, the MC Windfeld Ti is a phenomenal cartridge and hopefully will remain with me for years to come.